Some dogs need a good run on the beach or through a forest, others just a walk around the block. Whether its in a pack or on their own I work with you and your dog. Maybe your dog just needs a bit of company during the day, to be let outside or some training to fix a few problems I can provide what you need. 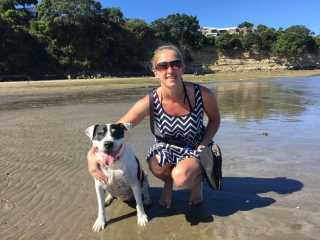 Kimberley's service is located in or nearby Auckland, Auckland. Book via PetBacker for Insurance, Payment protection & 24x7 support. If you have hired Kimberley before, leave a review now. Contact Kimberley now with your pets info. If Kimberley is busy, we can help include similar Backers.